The Dukes 30th anniversary walkabout theatre production will be a new version of Treasure Island in Lancaster's Williamson Park. A 30th anniversary celebration of outdoor walkabout theatre and two thought provoking homegrown dramas add sparkle to the new season at The Dukes. 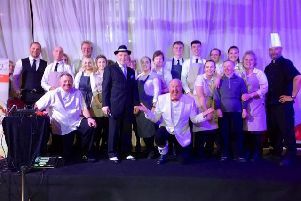 The Lancaster theatre’s reputation for producing the UK’s biggest outdoor walkabout theatre season was recognised this year with a UK Theatre Award for the Best Show for Children and Young People. In 2017, The Dukes celebrates 30 years of promenading in the park with an adaptation of Treasure Island from July 4-August 12. Robert Louis Stevenson’s classic tale will be given a new twist by the awardwinning team behind last year’s sell-out production of The Hobbit. From April 27-May 6, The Dukes will be visiting another Island – the one created by Athol Fugard, John Kani and Winston Ntshona. Joining forces once again with The Theatre Chipping Norton, The Dukes presents The Island, drawing on stories from Robben Island where Nelson Mandela was held prisoner for 27 years. And launching The Dukes homegrown season on February 15, after its successful run this year, will be the return of I Was A Wife written and performed by 2015 UK Theatre Awardwinning actor, Polly Lister. Tickets for any of the new season events or find out more on 01524 598500 or www.dukes-lancaster.org.